Christian Humanism is a remarkable and entirely original perspective on the humanist teachings of Jesus and the light he throws on age-old enigmas like the presence of evil in God’s world and the purpose of our existence. 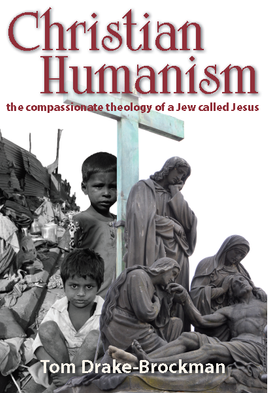 Christian Humanism fuses Jesus - the Jewish humanist with Christ, the divinely inspired agent of God to present nothing less than a radical new Judeo-Christian theology - one that is capable of rescuing Christianity and transforming our world. Drawing on illuminating and new historical evidence, it challenges Christians to open their eyes to the possibility that the patriarchs of the Church have distorted Christ’s message almost from the very start. But this is not just another anti-religious rant. On the contrary, Christian Humanism seeks to reinstate Judeo Christianity as the spiritual and moral heartbeat of the Western world. Thus Jesus and his early Jewish followers did their worshipping not in synagogues or churches but amongst the sick and suffering masses, while simultaneously challenging the searing injustice of a corrupted religious and political establishment. If Jesus returned today, he would not be involved in passive rituals but in ending the slaughter in places like the Congo. Tom Drake-Brockman goes way beyond previous humanist and ‘social gospel’ versions of Christianity and sets out to construct nothing less than a revolutionary new theology – one that is as much political as spiritual and one that would replace ritual and liturgy with a dynamic new form of grass roots activism. By framing the compassionate relief of suffering as the purpose of our existence and the sole path to ultimate salvation, Christ becomes the ultimate humanist and humanity, the master of its own destiny. This recast Christianity demands its followers commit themselves to a compassionate spirituality, heavily focused on this world in seeking to make it more worthy of its creator. That may sound like a daunting task for one lifetime but there is compelling new evidence that Christ’s vision also embraced reincarnation. Historian, teacher and author, Tom Drake-Brockman may not be saying what many Christians want to hear - but he could be confronting them with the greatest challenge they have faced since the Reformation. "Tom forces us to confront the uncomfortable , and hard to argue with, notion that Jesus might not be best pleased with how his message is currently being represented by the mainstream. Having done so he then presents a compelling alternative approach. Profound and thought provoking." Nigel Marsh, author of Fit, Fifty and Fired up.